Optometrist Salary: Is it Worth the Debt? I left my last optometrist appointment feeling that ODs are wildly underappreciated. It had been a while since I had last visited my optometrist. My eyes seemed to be functioning normally, but my wife told me I should have them checked out. She’s always right. I knew my sight wasn’t perfect but had no idea how much better things could be until after my exam. My eyesight had degraded so slowly that it isn’t even noticeable. After the exam and getting my prescription, everything looked like it was in 4k. So crisp and clear! Plus my night vision and light sensitivity had greatly improved. Needless to say, eyesight is a very important one of our senses. Optometry can be a rewarding career because they help people see better and maintain eye health. Along with a fulfilling career an OD can earn a nice living. The median optometrist salary is $110,000/year according to the Bureau of Labor Statistics. The problem is that income has stagnated and private practice isn’t as lucrative as it used to be. The 800-pound gorilla Luxottica and the innovative (now established) Warby Parker have had major influence on the income trajectory of ODs. Even though incomes have leveled off, the cost of optometry school continues to rise. The average OD we’ve worked with has $267,000 in student debt. It takes about 4 years to get a Doctor of Optometry Degree (OD) after completing a 4-year bachelor’s program. The average OD we have worked with here at Student Loan Planner has about $267,000 in student loans and it’s on the rise due to the tuition hikes from some of the more reputable schools of optometry. Indiana University tuition is about $28,000 per year for a resident and $42,000 for out-of-state tuition while Ohio State University is $25,000 for a resident and $46,000 for an out-of-state optometry student. Not only that, but higher living expenses, tuition increases each year, interest accruing on the loans, and leftover loans from undergrad push the cost of becoming an OD well above what was anticipated. So is it financially worth it? The average optometrist salary is $110,000 per year which is a very nice salary. But how does that compare to the average college graduate without an advanced degree? According to the Bureau of Labor Statistics in a 2018 report, the median wage for a college graduate is about $66,000. Here’s a graphical summary from The Balance Careers if you want more info. So becoming a Doctor of Optometry leads to an extra $44,000 in earnings per year by the averages. Let’s just assume that $44,000 in extra income sustains throughout the entire 40 year career of an OD. That works out to an extra $1,760,000 in lifetime earnings for an OD compared to someone with a bachelor’s degree. That is a huge number! Taking out $267,000 in loans to make an extra $1,760,000 tends to make financial sense on the surface, but remember that the extra earnings will be taxed. If we assume a combined 40% tax rate for federal and state, then we can reduce that $1,760,000 in earnings down to about $1,056,000 in extra take-home pay. So now we’re talking about ODs having an extra $1,056,000 to pay off the $267,000 of student loan debt that made it possible for an OD to earn that extra money. 1. These numbers don’t show is that many ODs spend the first 20-25 years of their career saddled with loan payments and staring at student loan balances that don’t seem to change and in many cases continue to grow. Let’s dive deeper into what repayment actually looks like for ODs. Here at Student Loan Planner, we have done over 1,600 consults and advised on over $400,000,000 of student debt. Our experience shows that there are two optimal ways for ODs to pay off student loans. They just so happen to be on opposite ends of the spectrum. Option 1 – Aggressive Pay Back: For people who owe 1.5 times their income or less (e.g. someone who makes $100,000 with loans at $150,000 or less), their best bet is to throw every dollar they can find to pay back their loans as fast as possible, no more than 10 years. Option 2 – Pay the least amount possible: For people who owe more than twice their income (e.g. someone who makes $100,000 and owes $200,000 or more), the goal is to get on an income-driven repayment plan that will keep their payments low and maximize loan forgiveness whether it’s public service loan forgiveness (PSLF) or taxable loan forgiveness. Most ODs would want to choose option 2 unless they are married to a high-income earner with little to no student debt. Let’s say that Adam has $280,000 in student loans at 6.8%. He’s been an OD for 3 years and was paying on the graduated plan to keep his payments low. Right now, he’s making $100,000 with projected 3% increases in salary for the foreseeable future. He’s not married at the moment. In almost all circumstances, the graduated plan is going to end up costing ODs more money than they’d otherwise have to spend when paying back their loans. The graduated plan is neither option 1 nor option 2 listed above and is much more costly because Adam will end up paying off a 6.8% loan in full over 30 years with increasing payments every 2 years. It sounds like a good idea to help with monthly cash flow, but 99/100 times it’s one of the worst repayment options. Choosing PAYE or refinancing to a 10 year fixed rate will both cost less than that. Affordable monthly payments which will allow him to save, invest and put money toward other financial goals (pro). He’ll be out of debt in 10 years or less (pro). On the surface, it appears that Adam has a decision to make but PAYE is actually the clear winner here. 1. Adam’s payments will be much lower than refinancing which will free up nearly $2,400 per month. If he saves and invests that freed up money for future financial goals, he will end up well ahead with his wealth. 2. If Adam sets aside $505 per month for the tax bomb and invests it for a 5% net annualized return on investment for 20 years, the projected taxes owed of $174,140 (assuming a 40% tax rate) will only cost him $121,200 ($505 per month x 240 months). That means his investment growth will give him an extra $50,000 so that he doesn’t have to come up with that out of pocket. 3. Along with costing him less out of pocket for PAYE, he also gets to spread out that cost of paying back his loan over 20 years instead of 10. Paying back his loan will feel much more manageable than supporting $3,000 per month student loan payments over the next 10 years. If he gets married and has kids, he’ll have more wiggle room in his budget. PAYE would provide more payment flexibility, lower payments so he can save and invest for his other financial goals. The downside is that he’d have to get comfortable with the fact that his loans are going to grow. This is usually tough for people to wrap their head around. That is why saving alongside of PAYE is so important. If he can save $2,000 per month for 20 years and earn 7%, he’d have over $1,000,000 in assets with $435,000 in loans that will be forgiven. After paying the tax bomb, he’ll still have a net worth of about $825,000. That’s pretty awesome and makes it worth it financially to let the loans grow. 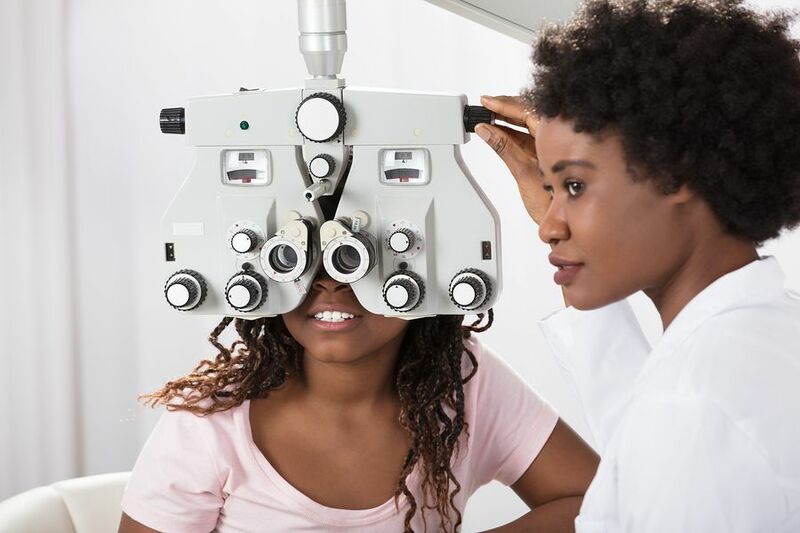 Is becoming an optometrist worth the cost? I recently had a consult with an optometrist and I asked him this question anecdotally. Fortunately for him, he loves the 20-25 patient interactions he has each day, and he loves the biological science of it all. Bottom line is if you’re passionate about it, just understand what you’re headed in for with debt. The pure financial answer is yes since the projected lifetime earnings of an OD vs the average college grad is $1,056,000 after taxes vs the $380,000 in cost of paying back student loans. 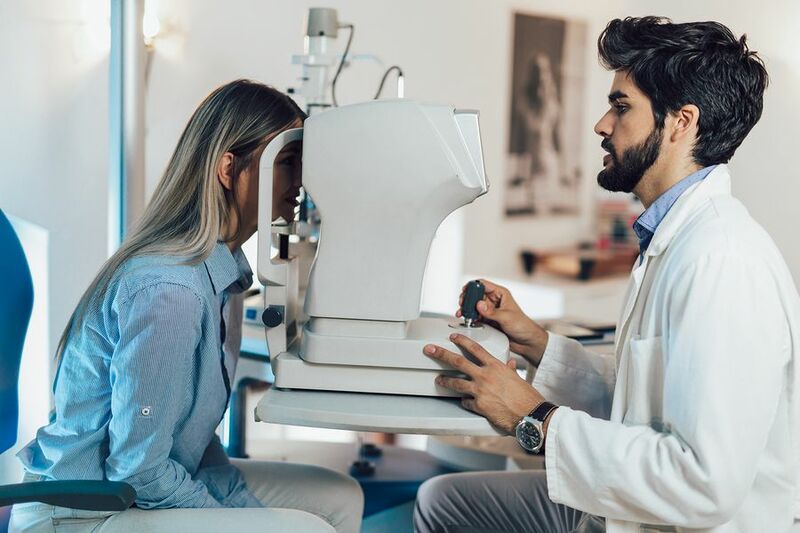 The reality is that most optometrists will have to deal with student loans for 20 years and won’t necessarily be able to celebrate and enjoy that higher income until their loans are dealt with. Making student loan payments will be a way of life during that time which lines up with the extra costs of getting married and raising kids. If optometrists can keep that long term perspective, they’ll still have a nice long career with great earnings remaining after being student debt-free. Just like any profession, OD candidates should only choose to pursue this path if they are all in and don’t let student loans make them regret their decision. Having a clear understanding of how loan repayment works and how to mitigate both the financial and psychological aspects of carrying that amount of debt are a must! ODs can find a clear path to pay back their student loans. A path that could not only save them significant money but help them understand the actions steps to get it done. Student Loan Planner has done over 1,600 student loan consults for clients with over $400,000,000 of student loans. We can help you figure out the optimal path in just 1 hour despite your optometrist salary. I work with borrowers who owe between $200,000-$400,000 in student loans, so that makes me the point person for most of our optometrist student loan consults. Feel free to email me at rob@studentloanplanner.com to ask any questions and learn more. Our team can help anyone though, so feel free to choose the right consultant for you based on your individual circumstances. Do either of these payback options make you feel better about paying down your OD debt? Rob Bertman holds both the CFA and CFP® designations and is a University of Michigan alum. He loves helping borrowers as a senior consultant for Student Loan Planner and specializes in making plans for professionals with 200k to 400k of household student loan debt. When Rob isn't working on student loans, he helps parents find money in their budget to save, invest and pay back debt even if the cost of raising kids is breaking the bank. Rob has 3 kiddos, enjoys playing basketball, watching superhero movies, and being active in the community.